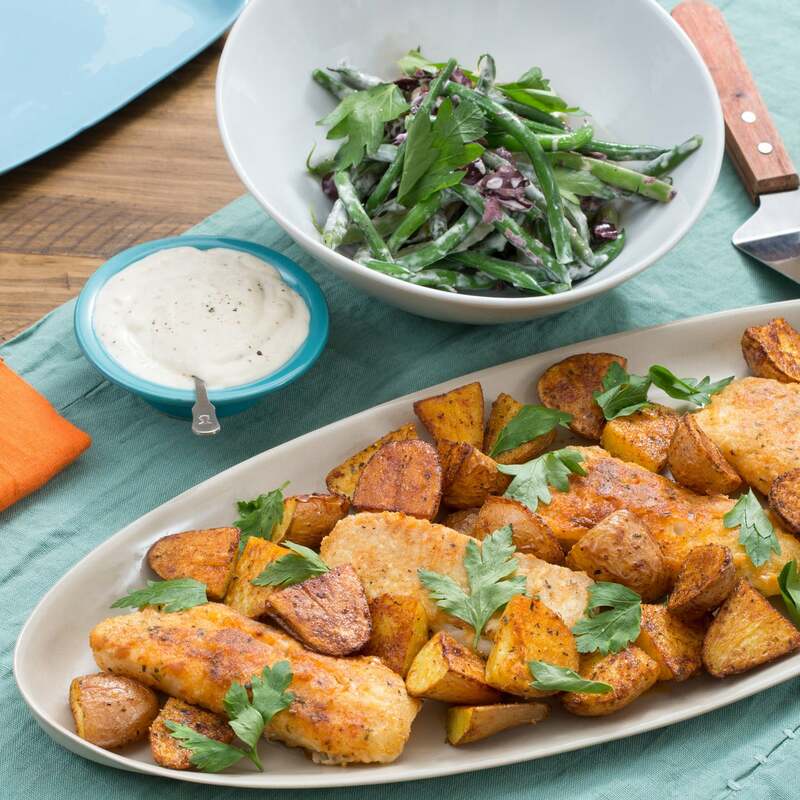 In this wholesome dish, we’re serving up crispy, pan-seared catfish with a side of specialty potatoes, lightly seasoned and roasted for equally crispy texture. 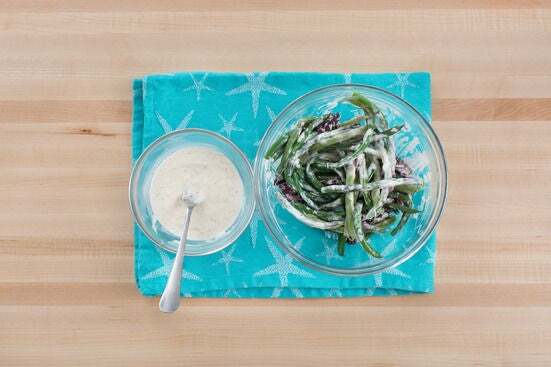 And for a second side, we’re making a salad of quick-cooked summer beans, dressed with creamy aioli (a classic condiment in seafood dishes). Kalamata olives add a deliciously briny touch to the complex, summery flavors of this dish. Preheat the oven to 475°F. Wash and dry the fresh produce. Heat a medium pot of salted water to boiling on high. 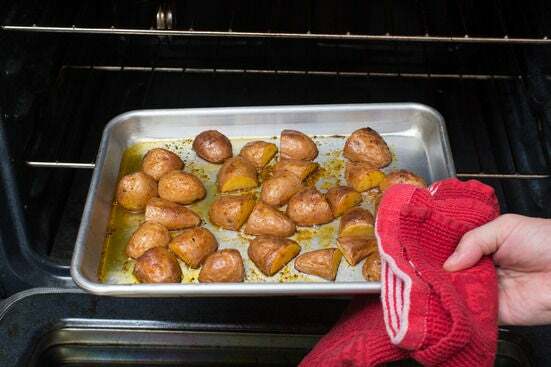 Cut the potatoes into bite-sized pieces. Trim off and discard the stem ends of the beans. 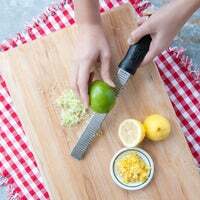 Peel and mince the garlic; smash with the flat side of your knife until it resembles a paste (or use a zester). Quarter and deseed the lemon. Using the flat side of your knife, smash the olives; remove and discard the pits. Roughly chop the olives. Pick the parsley leaves off the stems; discard the stems. Place the potatoes on a sheet pan. Drizzle with olive oil; season with salt, pepper and half the spice blend. Toss to thoroughly coat. 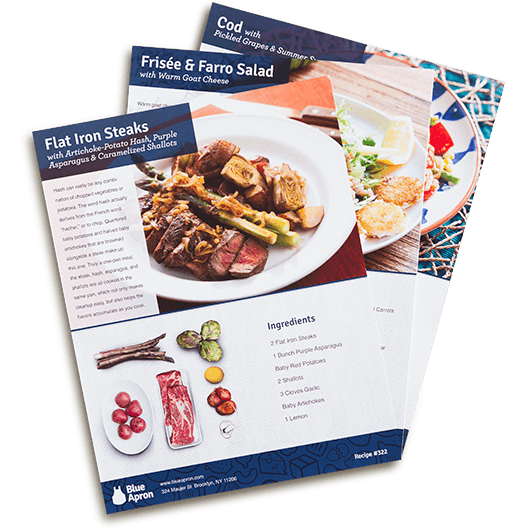 Arrange in a single, even layer, cut sides down. 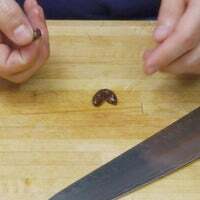 Roast 24 to 26 minutes, or until lightly browned and tender when pierced with a fork. Remove from the oven. While the potatoes roast, add the beans to the pot of boiling water. Cook 3 to 5 minutes, or until slightly tender. 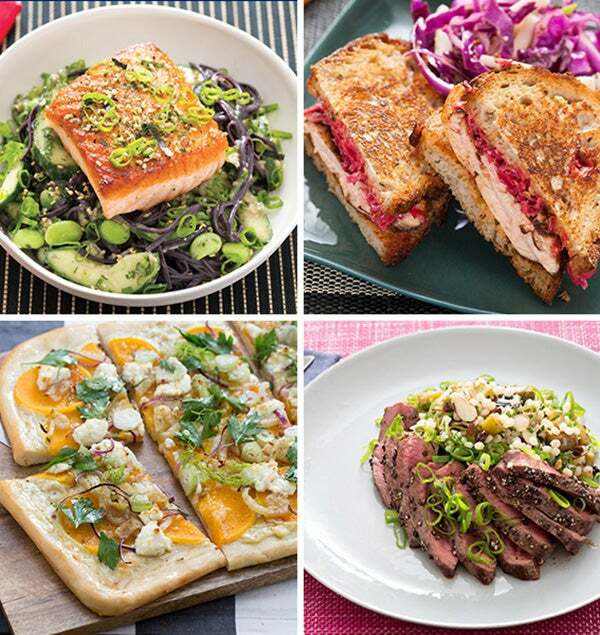 Drain thoroughly; rinse under cold water for 30 seconds to 1 minute to stop the cooking process. 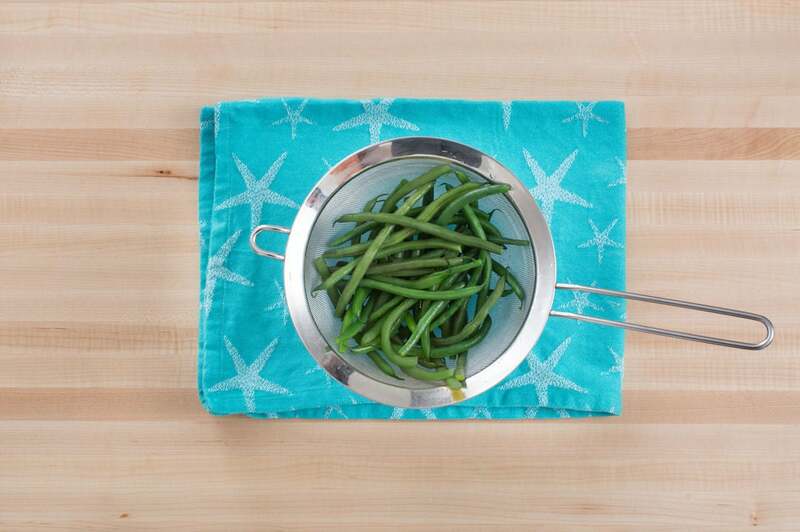 Pat the blanched beans dry with paper towels. Transfer to a medium bowl. While the potatoes continue to roast, place the flour and remaining spice blend on a plate; stir to combine and season with salt and pepper. 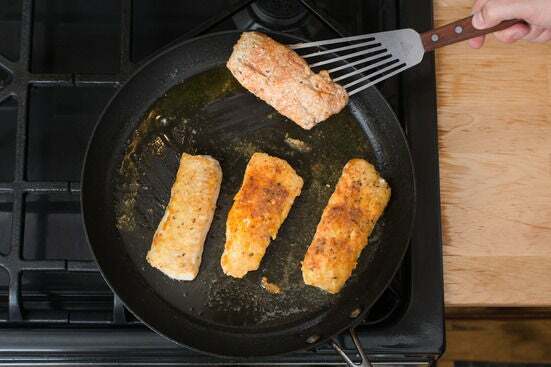 Pat the catfish fillets dry with paper towels; season on both sides with salt and pepper. 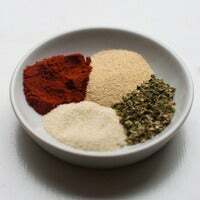 Coat both sides of the seasoned fillets in the flour-spice blend mixture (tapping off any excess). In a large pan (nonstick, if you have one), heat 1 tablespoon of olive oil on medium-high until hot. Add the coated fillets. Cook 2 to 3 minutes per side, or until golden brown and cooked through. Transfer to a paper towel-lined plate; immediately season with salt. 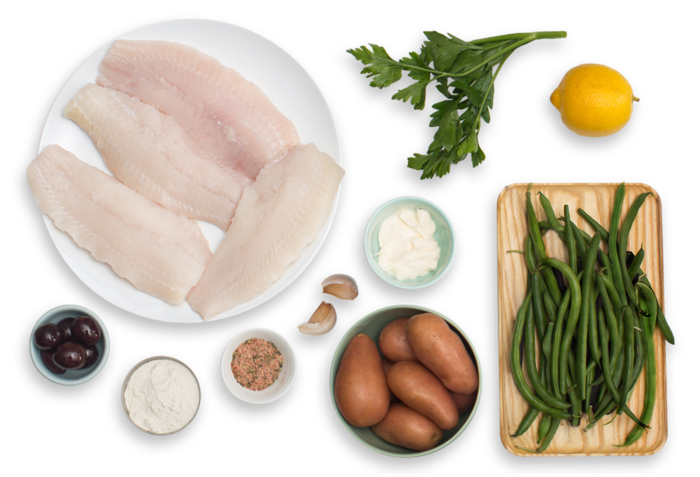 While the catfish cooks, in a small bowl, combine the mayonnaise, garlic paste and the juice of all 4 lemon wedges; season with salt and pepper to taste. To the bowl of blanched beans, add the olives and ⅓ of the aioli. Toss to thoroughly coat; season with salt and pepper to taste. 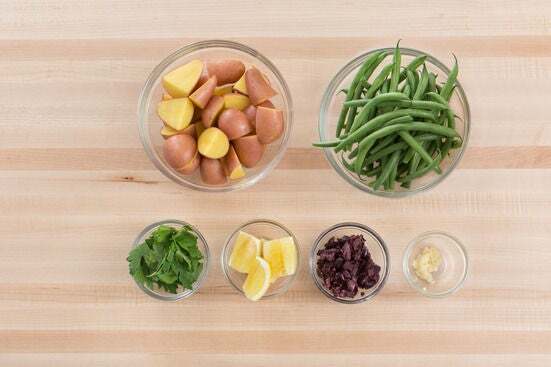 Transfer the dressed beans and remaining aioli to 2 separate serving dishes. 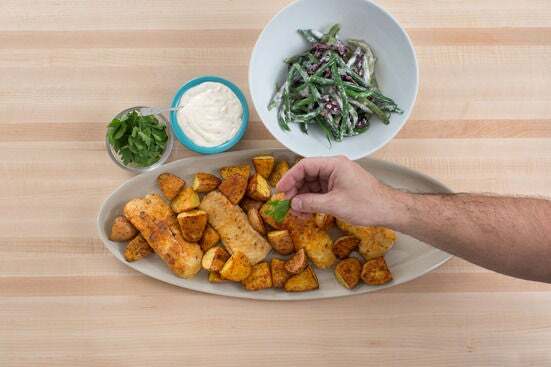 Transfer the cooked catfish fillets and roasted potatoes to a serving dish. Garnish the catfish fillets, potatoes and dressed beans with the parsley. Serve with the remaining aioli on the side. Enjoy!